If mini-burgers were truly the size of the little fella at the left, you might be able to make a case that you were being virtuous by choosing the mini over a regular quarter pound burger. But, alas, an order of minis at Ruby Tuesdays is 1,327 calories. That’s without the fries. 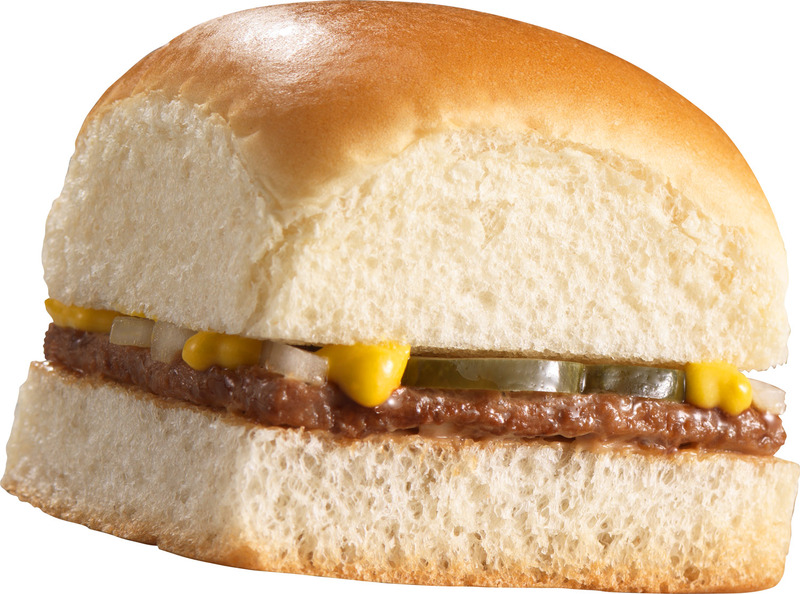 Their triple prime burger is less, weighing in at 938 calories. Big Mouth Bites at Chili’s are a little better – 850 calories. Still their Oldtimer Burger is 800 calories. 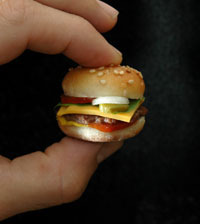 The point is that you are actually packing away more calories with mini-burgers than you are with a regular sized one. Now having said that, I love the little suckers, especially the ones at Chili’s. But by way of comparison, if you’re lucky enough to live in the South or anywhere there’s a Krystal, you can get four Krystal’s for 640 calories and still enjoy your daily grease quotient.